Although I’m not easily swayed by the fad for greens with everything skin-care, I’ve got to admit this is a very good – and enjoyable – mask. It’s following the anti-pollution trend by offering skin a detox, but also a cleanse because the final phase is to add water and feel it emulsify into a cleanser. Ingredients include Spirulina, Spinach and Green Tea which are all antioxidant, and the mask is clay based with a foaming element. Foams used to be quite hard on skin I think, but more recent versions don’t seem to be – they’re much softer and not drying in the way that early foamers were. The cleansing element is Kaolin Clay and coconut derived cleansers and when it’s on your face, it feels rather cooling – a lovely, fresh sensation. 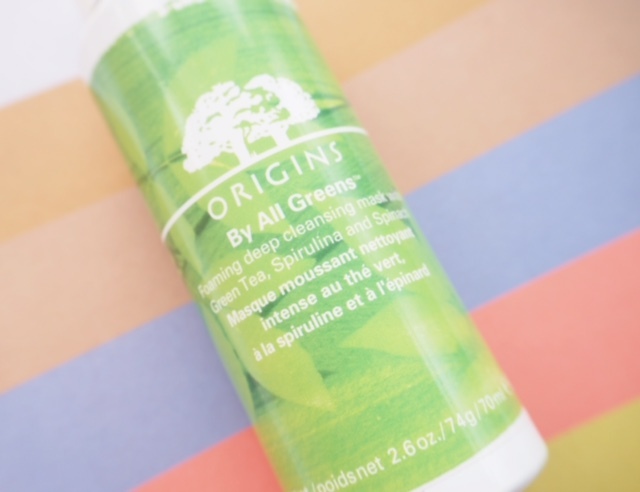 I know it looks like a little green puddle here, but the smell is fresh and minty – there is more zing to this than you would imagine from looking at the formula. Here is it in full foam. Don’t expect a fully blown foam – it’s quite gentle (no Father Christmas face!) and you can feel the bubbles emerging. Leave it a few minutes and add a little water – although I used just a damp facecloth (too much water and you can’t really feel the cleanser element) to wipe it away. 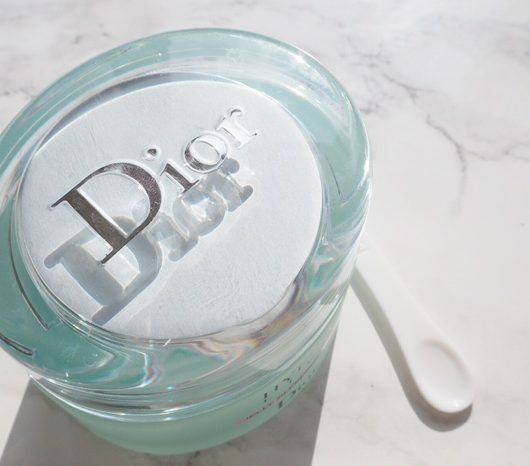 I don’t think I’d use this over make up – it’s designed as that kind of cleanser – but if you’re a double cleanser, then this is your second cleanse with the benefit of a mask in the middle! I know.. we’ll never get to bed if these routines get any longer! 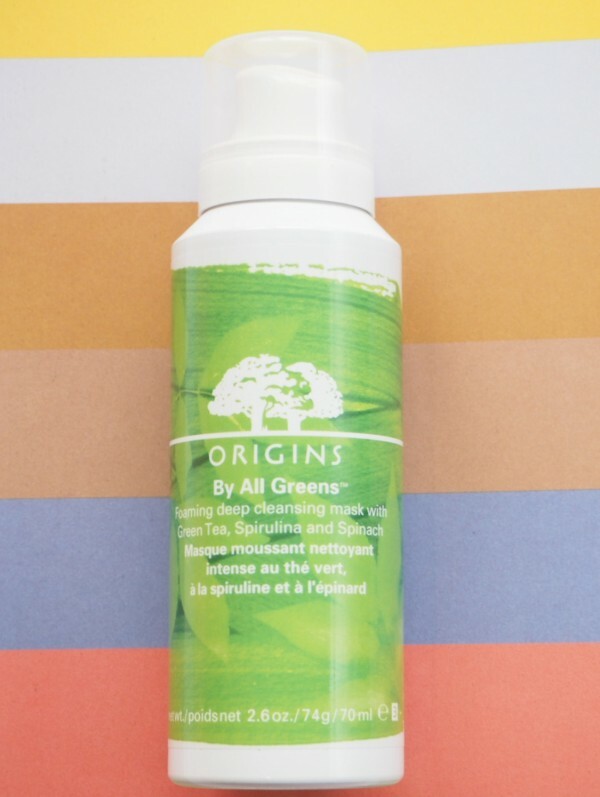 I like the innovation on this – taking existing elements and putting them into one product: I also thought Origins By All Greens Cleansing Mask would be an excellent post exercise mask to refresh and cool the skin. 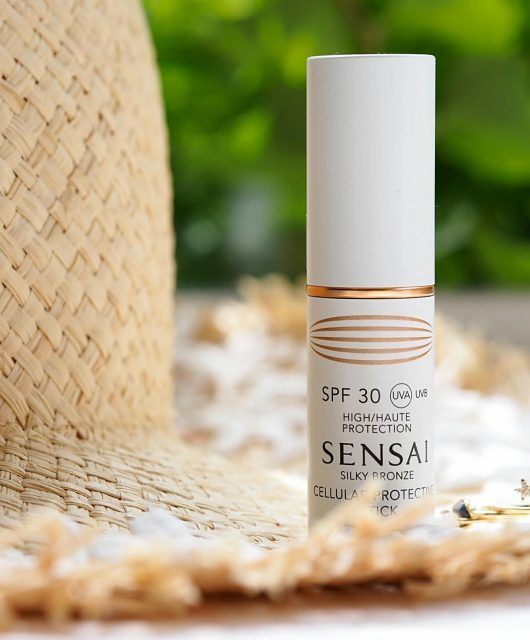 It doesn’t launch until April but it’s one to look out for if you like trying new products that are a little bit different. It will be £32 but a little goes a long way. 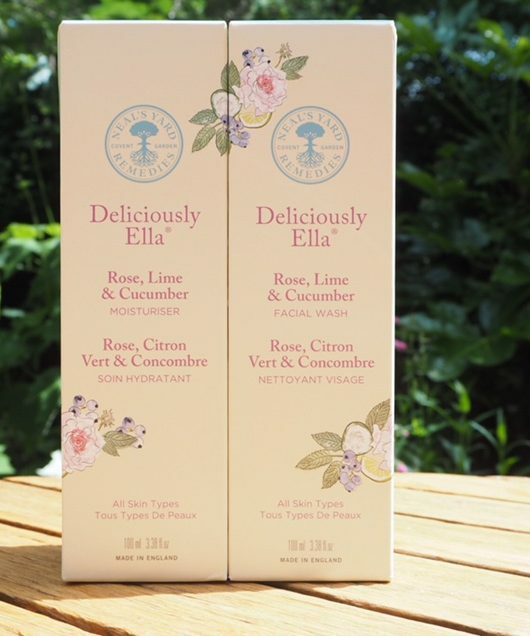 This sounds like a really lovely product, after a really long day I like to double cleanse and this sounds like it would give the skin a little extra R&R! This product sounds really innovating! Especially when you come home from a long day, your makeup is suffocating your face and you just want to cleanse and clean to renew. 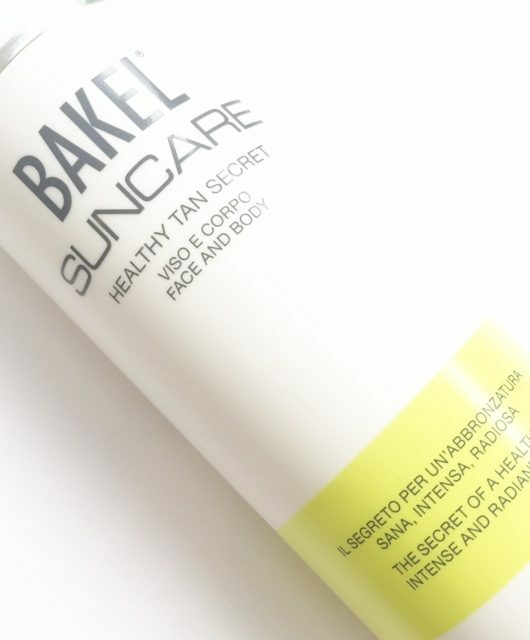 This product sounds like it would cleanse deep into your skin and it wouldn’t feel to thick or heavy either! This sounds like a lovely mask! I’ve always loved origins masks! I think they are their stand out products for me. Will be grabbing this guy when I can. It seems so odd… In a fun way.